When you're looking for a quick peek at the influences around you. What do you need to be aware of or pay attention to right now? Are you wanting a quick check in with Mind/Body/Spirit? This is a great option for a look at my reading style as it’s very modestly priced. You will receive a written response including an image of the cards drawn in a pdf. This will be sent to your email address in a timely manner. Simply fill in the contact form below and I will respond as soon as possible. Are you looking for clarity in your current relationship? Is he/she the one? Just how open to love are you at this time? 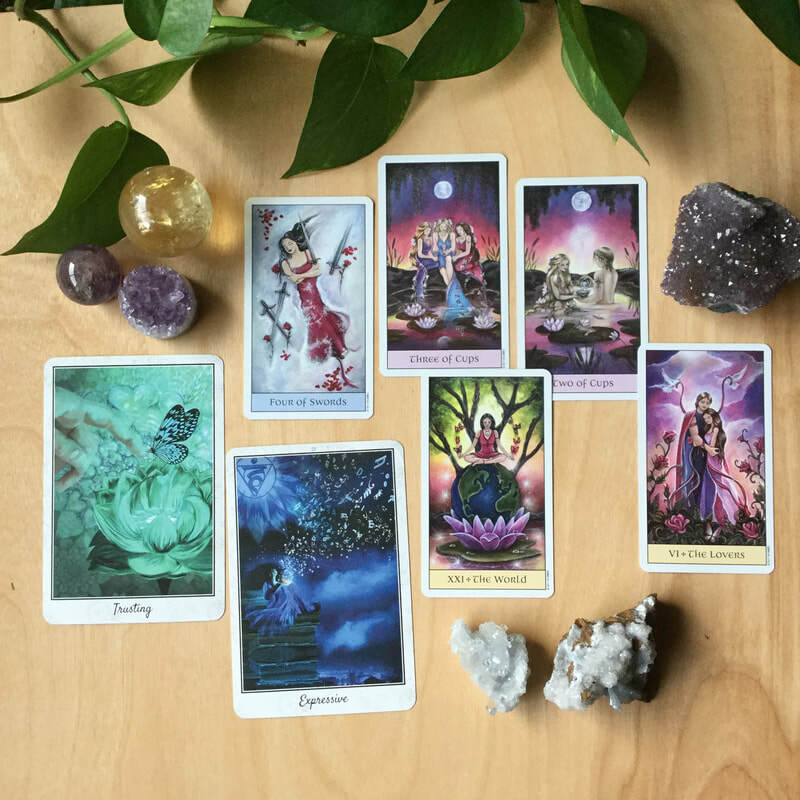 Lets take a look at the cards for advice, empowerment and focus. I love to pull extra tarot cards here as well as oracle cards. 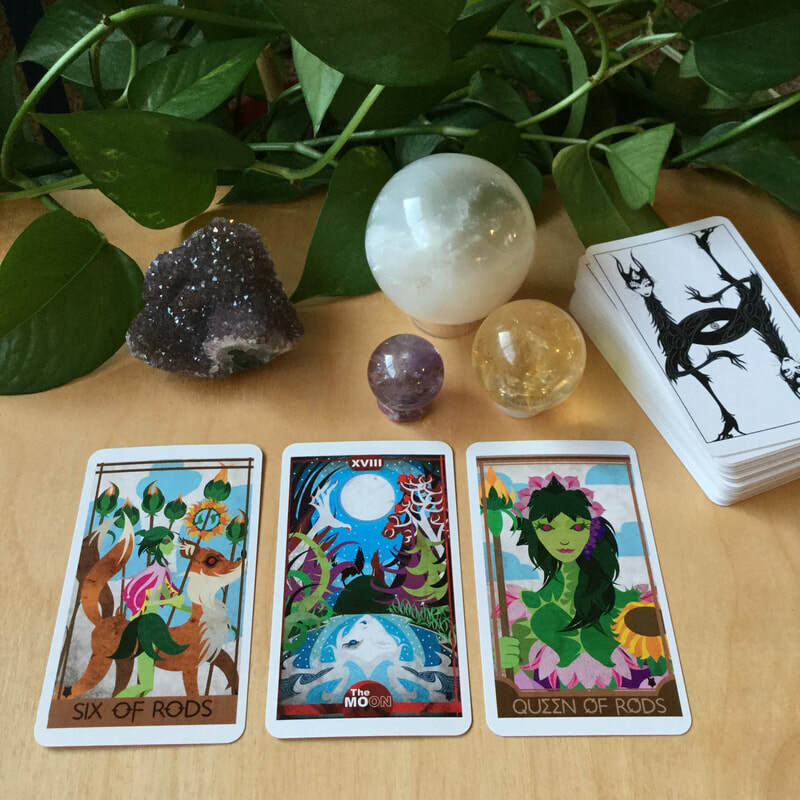 This email reading is between two to three pages and includes images of the cards drawn. To start the process simply fill in the form below and I will contact you as soon as possible. When you have multiple area's you would like to explore: career, finance, relationships, manifestation, spirituality, self-care or any other area of particular interest. 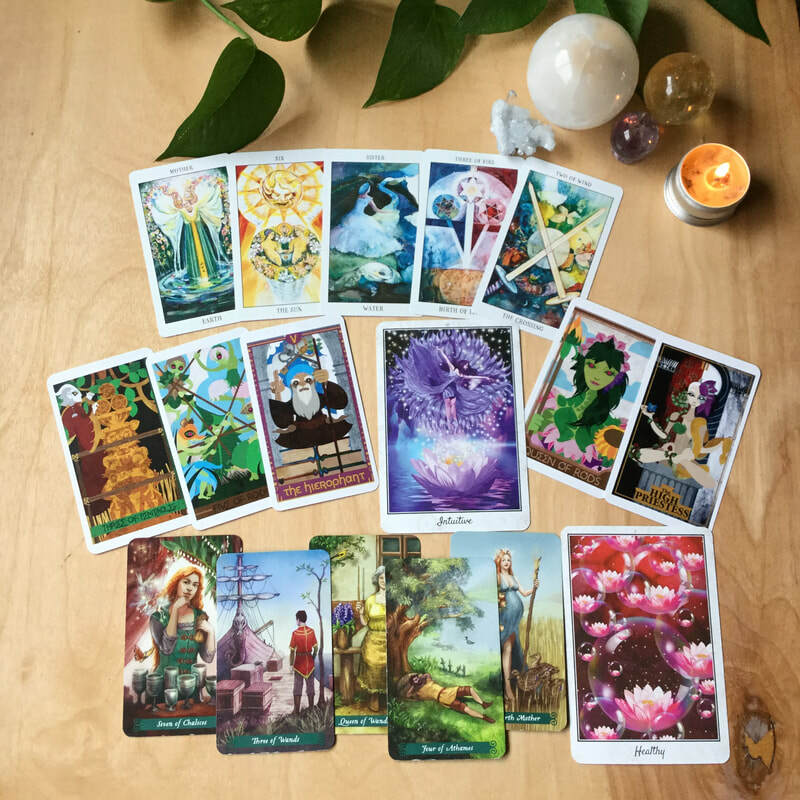 This can be an overall general reading or as fine tuned as you would like. Simply fill in the form below to start the process. Yes I would like a tarot reading! My goal is to make each reading an uplifting and empowering experience. Life is complicated and we all need some encouragement and guidance at various times. The Tarot can offer that guidance but ultimately your future rests in your hands alone. Any decisions you choose to make based on my readings are your responsibility. The power is as it should be in your hands. *As I am not a medical professional I will not read for health questions. **Please note these readings are for persons 18 years of age and older and for legal reasons I must state these readings are for entertainment purposes only.